Drawing on the integrated wisdom of Jefferson and Milton, the Brock Institute for Mega Issues Education aims to develop methods for universities and think-tanks to encourage students to learn on a broad scale in order to understand and respond to the many issues affecting America today. Publishing books, yearly reports, and newsletters discussing the state of integrated education. Hosting conferences featuring top thinkers from around the world. Developing lectures, discussion groups and other programs that exhibit the mega issues affecting the world. It is the hope of Charles Brock that the Brock Institute for Mega Issues will serve as a catalyst for reconnecting the methods of learning used by Jefferson and Milton with education today to develop a system that will fully encompass the many issues affecting America today. 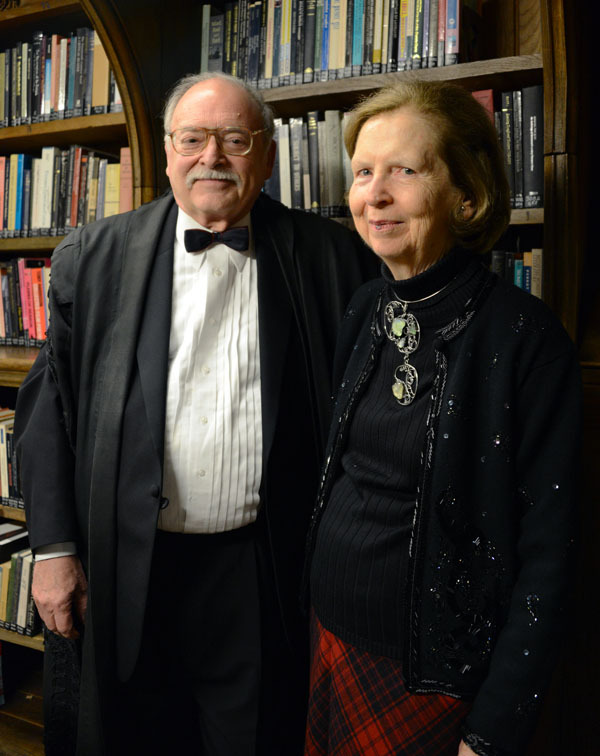 Reverend Charles Brock, an Erie native, is an Emeritus Fellow, Chaplain, and Director of Ministerial Education, Mansfield College, Oxford, UK, where he taught for 35 years. He currently serves as the Director of the Institute on the American Dream at Penn State Behrend, where he teaches for the politics and religion departments. Rev. Brock is acting minister of The First Unitarian Universalist Church of Girard, PA and he is a Founding Member of the JES. Rev. Brock will serve as the Director of the Brock Institute for Mega Issues Education at the Jefferson Educational Society. Mrs. Carolyn Brock is a musician, having conducted five choirs in Oxford for 40 years, and was organist of Mansfield College and Wheatley United Reformed Church. Like Charles’ mother, she is an Oberlin graduate and also received an M.Mus. from New England Conservatory. She has conducted the Erie Renaissance Singers since 2000.